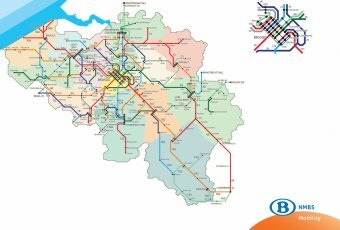 Following on from the previous post about Luxembourg, here’s another nationwide system map that resembles a subway map, this time for Luxembourg’s neighbour, Belgium - the land of beer, frites and Tintin! Have we been there? Yes, during my European jaunt in 2003. I caught trains from Brussels to Ghent, Ghent to Bruges, Bruges to Ypres and Ypres back to Brussels. What we like: Nice simplification of a relatively complex network. Major hubs are treated particularly well, especially Brussels - which is actually pretty clear even without the inset.Colour is used nicely to provide differentiation between adjacent route lines and zones (which don’t correlate to Belgium’s provinces, as far as I can see). What we don’t like: The strange placement of elements on the page really detract from the map. 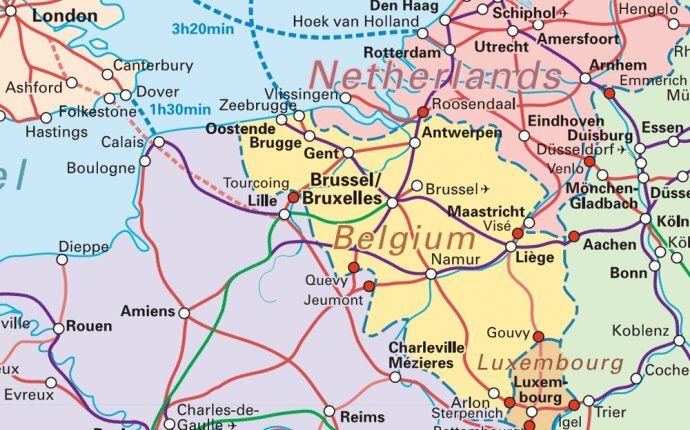 The nationwide map could be larger, and the Brussels inset needs to be boxed in and highlighted better.The corporate branding in the bottom right is very average indeed. Orange is a terrible colour for a gradient effect. Awful treatment of the coastline and ocean.